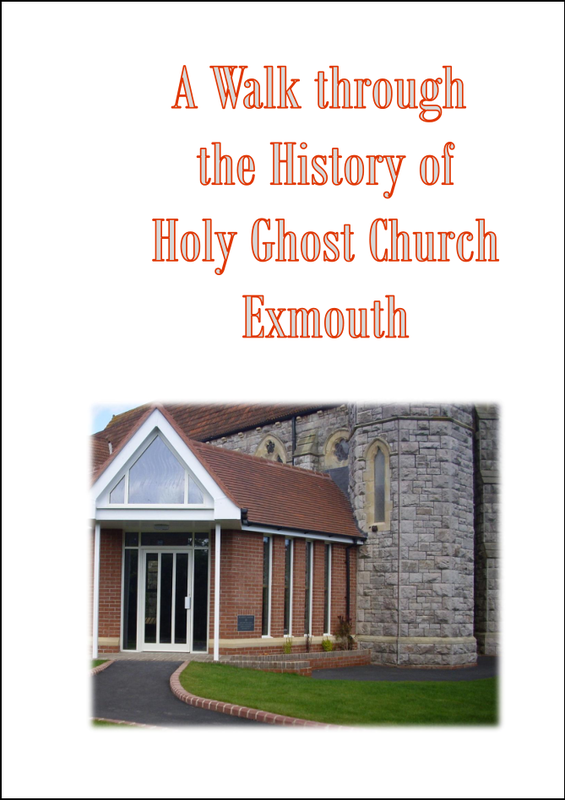 Below is an excerpt from our booklet ‘A Walk through the History of Holy Ghost Church Exmouth’ which guides you from the new St Anne’s Cloister, past the Lady Chapel and the Sanctuary, through the Nave and back to St Anne’s Cloister. The guide also provides information about the many stained glass windows and other artifacts. You can download a copy of the booklet below. Since 1887 when Bishop Vaughan sent Fr. Grainger to start a mission, the faithful have celebrated mass in and around Exmouth at several venues. The first regular mass was at The Lawn (now the Park Hotel) on October 30th. In 1891 the catholic population of Exmouth rejoiced to have a corrugated iron mission church in Windsor Square, dedicated to St John the Evangelist. 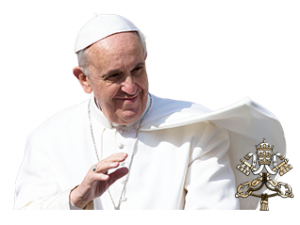 By the papal decree Sapiento Concilio, missions in England and Wales became canonical parishes in 1908. In 1912 Lord Clinton offered the site for the Church of the Holy Ghost and the present side aisle was built. Through the subsequent generosity of Mrs Maria Hamilton Thomas the nave and sanctuary were completed. The architect was Canon Alexander Scholes. In the 1960s, when the population of Exmouth was rapidly expanding, thought was given to the provision of a second church to serve the new estates. Canon O’Malley’s enthusiasm led to the foundation stone of St Anne’s being laid in 1967 and the first mass and blessing by Bishop Cyril Restieaux taking place on March 27th 1968. The land for the church was donated by two sisters, the Misses Payne. St Anne was chosen as the patron because local research had shown that in 1413 a petition had been submitted to Rome by the people of Withycombe (West Exmouth) requesting a chapel-of-ease, under the patronage of St Anne, “at the ferry steps” – the present Glenorchy Church. This had never been built though, since there were, at that time, already three chapels-of-ease in the town. The architect of St Anne’s, G.K.S.Symons, placed great emphasis on the quality of workmanship and construction. The contributions of local artists enriched Symons’ concept and these are now housed in Holy Ghost Church – St Anne’s having been demolished in 2006. Bishop Christopher Budd blessed and opened St Anne’s Cloister on the Feast of the Ascension of the Lord, May 4th. 2008.